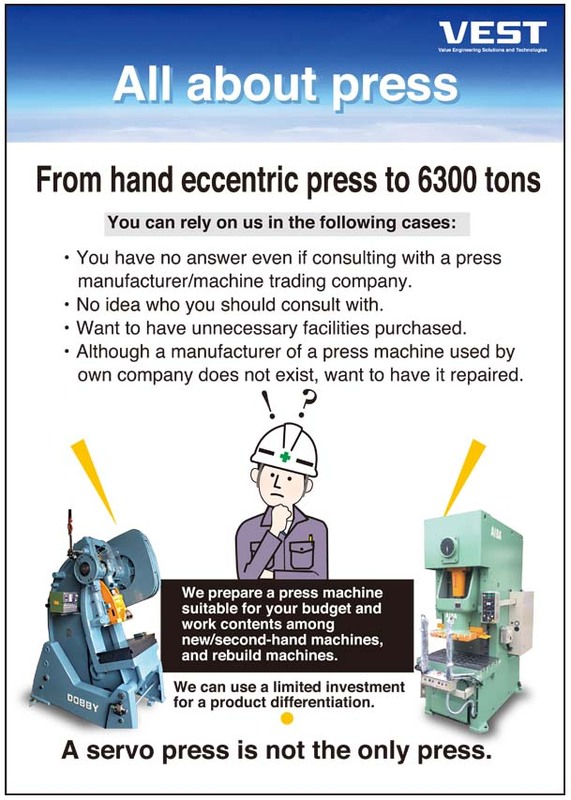 Customize press machines suited for work contents. Machine lineup unique to VEST. *There may be some work contents that we are not able to handle in Japan. *Please contact us via e-mail in Japanese or English. Copyright © 2015- VEST All Rights Reserved.